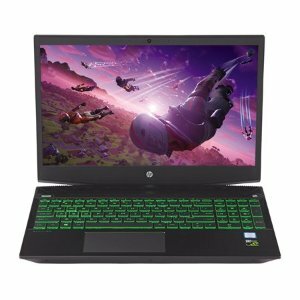 Walmart offers the HP Pavilion 15.6" laptop (i5-8300H,GTX1050Ti, 1TB, 8GB) for $599. Features: Operating system: Windows 10 Home, Processor: 8th Generation Intel® Core™ i5-8300H Processor, Display: 15.6-inch diagonal FHD IPS anti-glare micro-edge WLED-backlit (1920 x 1080), Memory: 8 GB DDR4-2666 SDRAM (1 x 8 GB). Internal storage: 1 TB 7200 RPM SATA hard drive. Graphics: NVIDIA® GeForce® GTX 1050 Ti (4 GB GDDR5 dedicated). Audio: B&O PLAY with dual speakers.